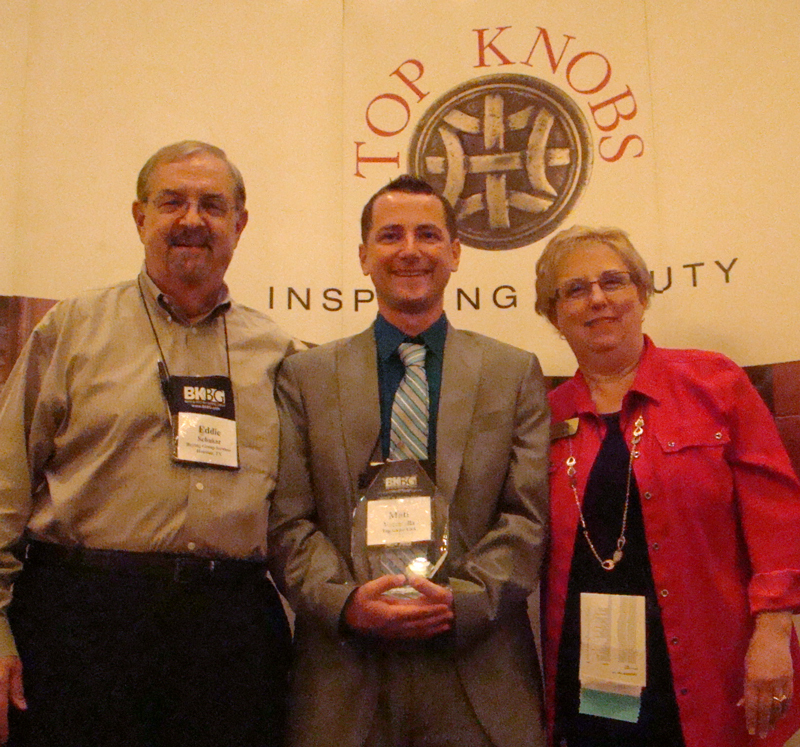 We are proud to announce that Top Knobs was named Vendor of the Year by Bath & Kitchen Buying Group (BKBG) at its annual conference held recently in St. Louis, MO. The award was presented to Top Knobs in recognition of its commitment to quality and innovation in its products, customer service and representation in the field, noted BKBG, based in Houston, TX. “The Vendor of the Year award is the highest honor that we as an organization give to a preferred vendor. Top Knobs has gone above and beyond to help grow BKBG. We commend them for helping us create win-win relationships between manufacturers and dealers,” said Eddie Schukar, executive director of BKBG.